Students working on the early stages of the Fort Box project. On Friday, Feb. 21, the UT Economics Club held the Up To UTK’s “Fort Box” event where UT students came together at Pedestrian Mall to construct a Power T-shaped box fort, representing the rising national debt and how it will affect our generation in the future. Kayla McMurry, a senior Economics major and club leader, said the Economics Club’s main goal is “to raise awareness about fiscal sustainability and environmental sustainability” when it comes to the increasing national debt. 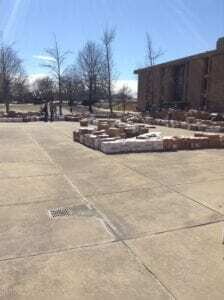 Ken Baker, a senior economics lecturer and club adviser, added that the club is trying to make the student body aware of the situation of the national debt, which represents the total amount of money that the U.S. has borrowed. 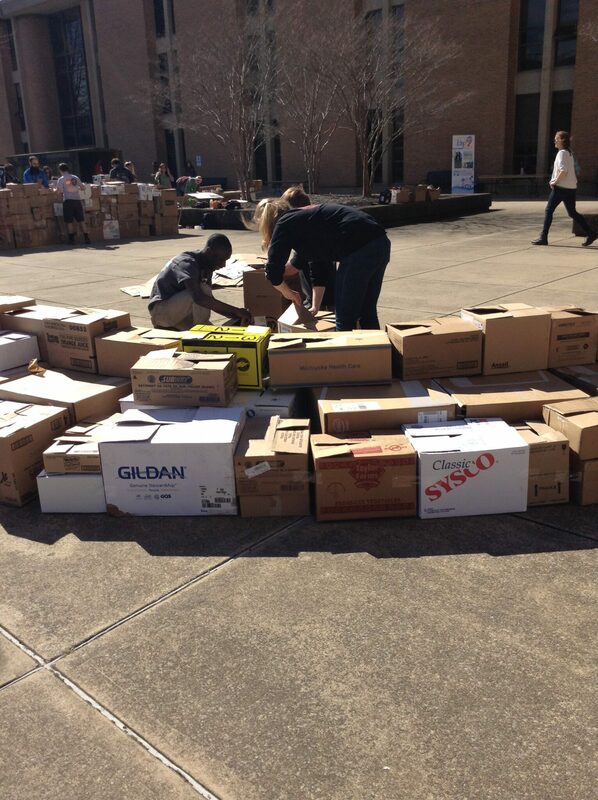 The idea for the box fort began when the Economics Club discovered the Up To Us campaign, a national campaign seeking to raise awareness about the national debt. 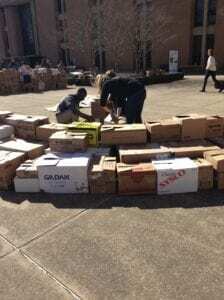 Up to Us club leader Kayla McMurry (right) helping students build Fort Box. 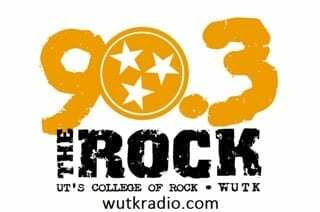 According to Carly Frensley, a junior Economics major in International Business collateral and the creative director for the Up To UTK campaign, UT had to apply to be able to run the campaign because only twenty-five universities that applied would be entered. Enthusiastic volunteer, Alex Speed (left) and Up to Us assistant team leader, Same Rule (right) working together to tape a box onto the stack. The box fort is constructed using over 5,000 cardboard boxes, representing the total amount of national debt: $17 trillion. 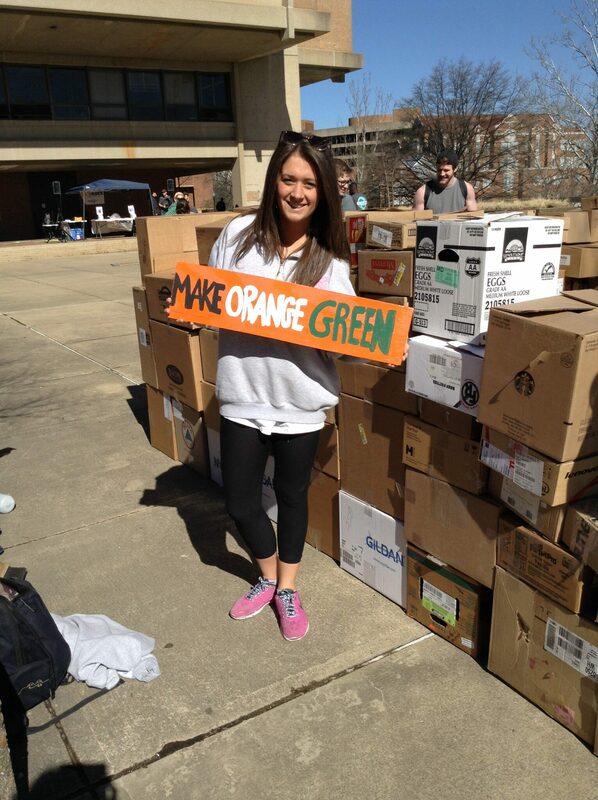 Creative director for the Up to Us campaign Carly Frensley holding up sign supporting its teammate club, UT Recycling. 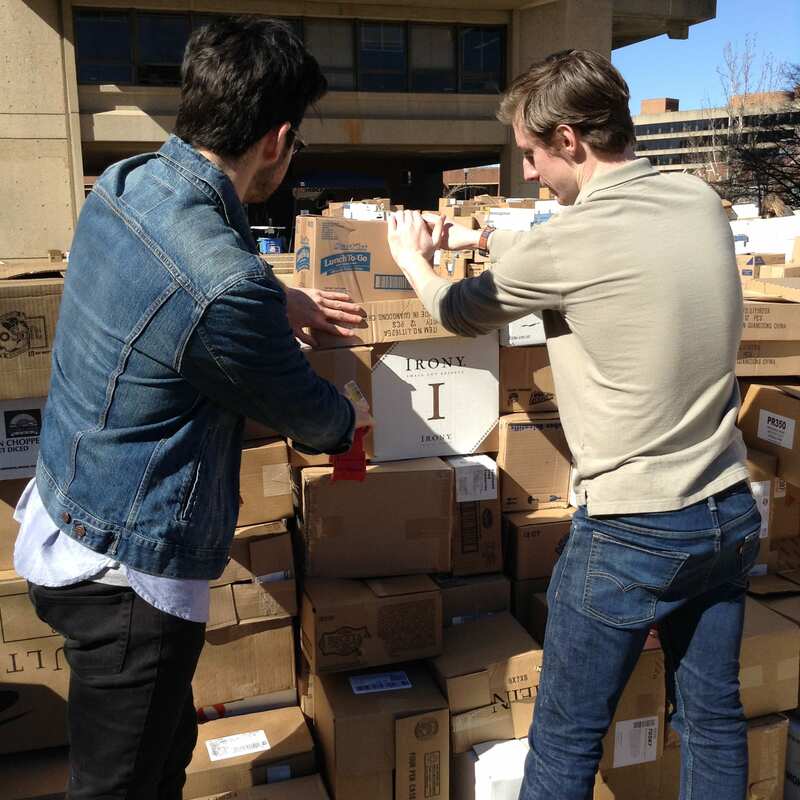 The Economics Club combined efforts with UT Recycling, the Office of Sustainability, Net Impact, the Environmental Studies Club and SPEAK in order to create the official Up to UTK campaign.